With so many source control options out there, it can be a daunting task in choosing one, especially that you enjoy using and integrates well with your development environment. In recent years, the open-source-centric Github has taken over as a premier repository for allowing users to store, develop, collaborate and share code. 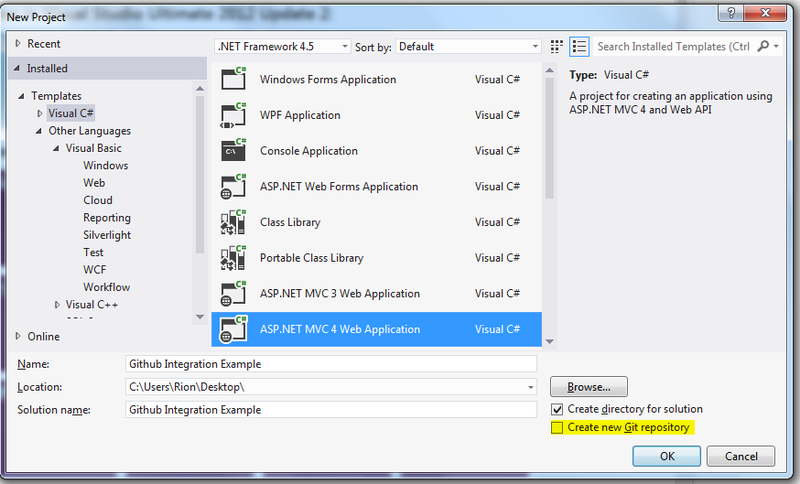 The .NET development team has clearly taken notice and with the release of Visual Studio 2012 Update 2 has made it incredibly easy to integrate Git (and Github) into Visual Studio to allow you to easily commit, push, pull and all the other verbs that you can think of without ever leaving the comfort of Visual Studio. 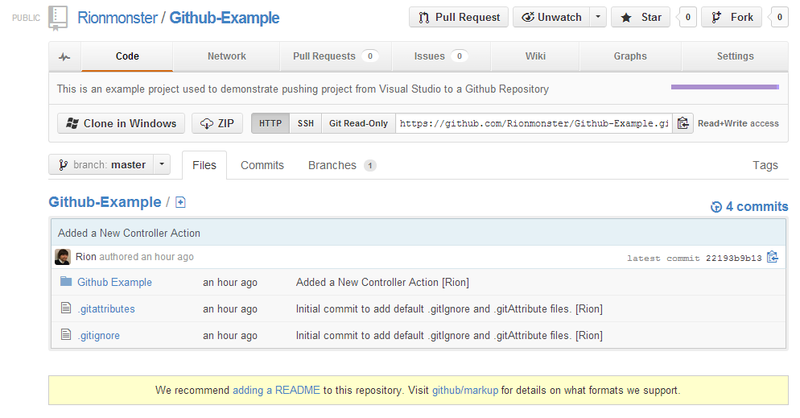 This post will cover the steps necessary to easily get Github up and running within Visual Studio 2012 so you can start sharing (or if you have a premium account, possibly not sharing) your code and using Github to handle your source control needs. 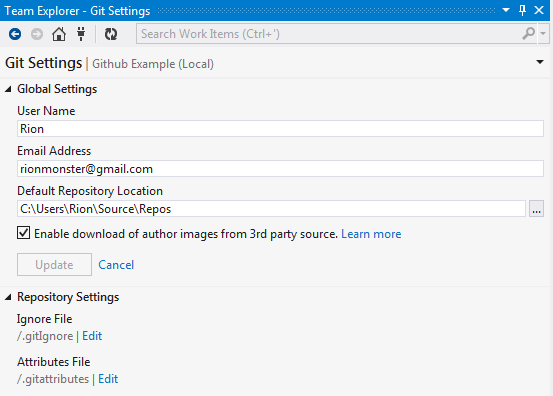 The Visual Studio Tools for Git is an extension for Team Explorer that allows Git integration for any Git-supported source-control repository including third-parties as well as local repositories. It will allow you to easily track changes within your repositories, commit changes, view branches and other changes and basically any additional functionality that you would have from a fully-featured source-control environment. By digging around within the Team Explorer, you can see all of the other functionality that the Git Extension offers, such as Change Tracking, Commits, Merging, etc. I encourage you to play around with it and get used to navigating between all of the options to get a feel for how it integrates with Visual Studio. You’ll be presented with this Commit area to type your notes in and you’ll also see all of the changes that were made. Next, we will hook up with Github to actually push our code up. 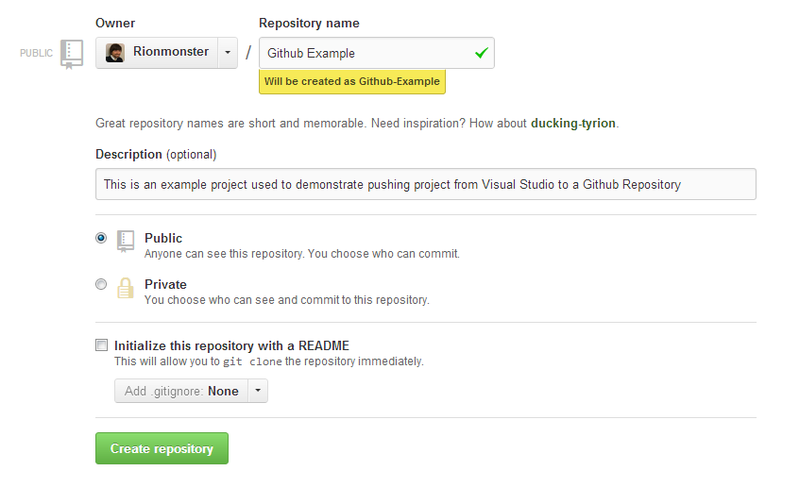 As I mentioned earlier, you’ll need to head over to Github to create an account there. It’s free and is very easy to use, although keep in mind the code posted on there using a free account will be publicly available. The Github Push was successful! Our local repository has successfully been pushed to Github and is available for the world to see! Tada! All of our files from our local repository are now available on Github for anyone to access, contribute, branch and all that other wonderful jazz. Another great thing is that after your initial push, you will no longer be prompted for credentials so you can now push up to Github with a single click! Although everything isn’t completely perfect with the Git support (as it was released rather recently), the .NET Development team will still continue to improve it as they do with all of their products and releases. I encourage you to give it a shot, as I have found that it has made my life a bit easier and I hope that it can help do the same for you. Thanks for the helpful tutorial. I've been jumping between git & svn over the past couple of years & everytime I start working with git again I need a little refresher. 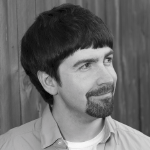 Here is a tut I put together regarding cloning git repos. Let me know if you put together any material for that as well. Great post. Very detail through every step. Thanks. This tutorial was right on time for me. Thanks for creating this. I've got a question for you. 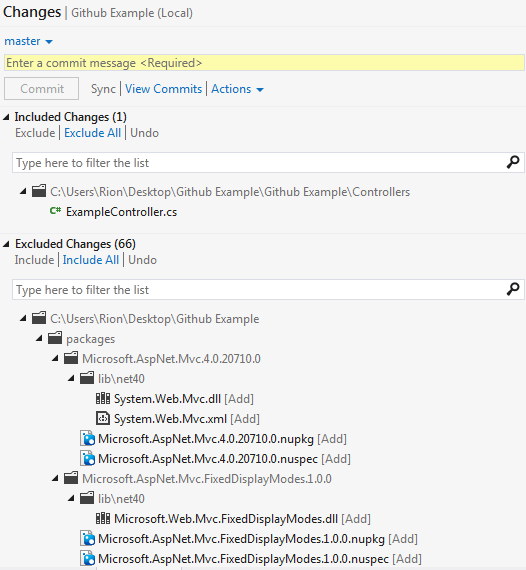 When I move projects around between computers using Github, I find that references to external dependencies like DLL files become broken. By default, the PROJECT is stored, not the SOLUTION. I can see why you'd want to store the project and not the solution, but the broken references is a drag. I was thinking about moving the solution-level "packages" folder into the project (and thus putting all the required DLL files into the scope of the repository) and then manually updating the reference pointers from there, but the reference pointers are also stored at the project level, so that process would need to be repeated on each machine. Any thoughts on this matter? I have been looking at Git, and this has helped me 'git' started with it! Now I just have to 'git' used to git!